Auten Wideplank Flooring has teamed with only the finest of Customizing Mills. We have the highest of standards that our mills must conform to meet the qualifications that allow them to build an Auten Wideplank Floor. We consider the Flooring we offer a work of art, delicately crafted with the desire to offer a product to last a lifetime. 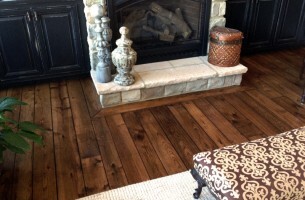 To accommodate the unique style of each client, we offer a wide variety of colors, many species of natural wood, and always top quality grade material. This allows each floor to be incomparable and crafted to each client’s expectation. Our passion at Auten Wideplank Flooring is in the name, “Wideplank”. We continue to change the trends that push the envelope on the use of Wider Board Material. We take pride in our many successful installations using extremely Wideplank Flooring in many different applications including direct installation on a Concrete Slab. We have the knowledge and experience to make a WIdepank Floor Successful just as our Forefathers did in the Homes that started this great Nation. 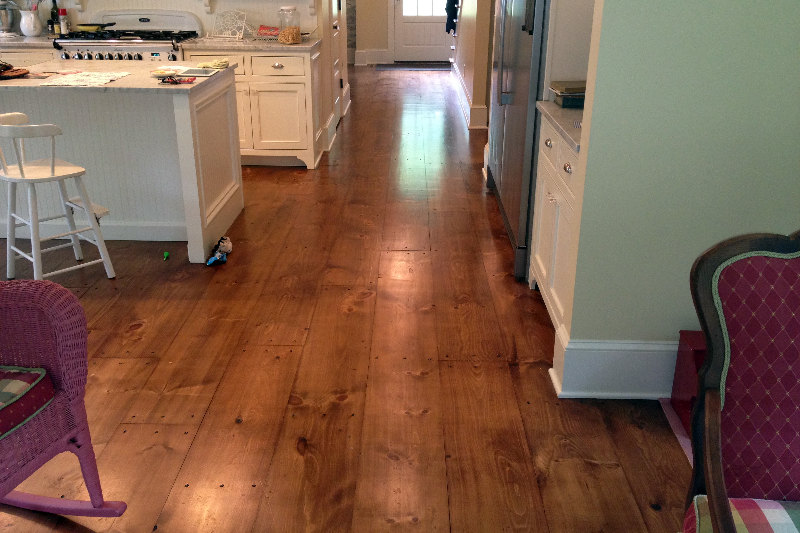 Over the years hardwood floors have reflected a more historic turn. In fact, 80% of hardwood flooring already installed is wide plank which demonstrates that this is not a temporary craze. The most popular styles are the wider planks around the historic size of 20″, but the wide plank floors from 8″-12″ are the most common. However, planks up to 26″ can be installed. The larger the plank, the more resilient your floor will be, fewer lines will be visible, and the room will appear larger. For years we created relationships with Sawyers and Mills in order to secure the very best hardwoods from the finest growing climates. These are people who contribute to our ecological image and ambition of producing America’s finest Hardwood Flooring from forests grown and supervised in a thoroughly sustainable approach. We consider these Artisans to be a branch of our business family. Almost all American hardwood trees are very adaptive. These trees can be found everywhere from Canada to Florida. However, they are grown primarily in New England, the upper Midwest, the Ohio River Valley, and portions of the Appalachians due to the weather and environment. These locations allow tighter, denser grains and finest beauty for woodworking, cabinetry, and especially wide plank flooring. We believe it is essential for our clients to understand that not all antique wood is acquired, treated, and resold with the same technique. We use material suppliers thathaved worked to accomplish two prominent Forest Stewardship Council awards: 100% Antique Reclaimed Certification and Chain of Custody Certification. This signifies that each board is an authentic antique and has been in their care from the dismantling process to the moment it is resold. It does not matter if it is the foot-worn appearance of an 18th-century pub you are looking for, the rough-sawn (unfinished lumber) flooring surface found in a pre-Civil War warehouse, or maybe just the gently worn charm of a select old Cape Cod floor, our team can re-establish these and several more centuries-old appearances with an assortment of handmade surface treatments, each bringing its own distinguishing personality to your floor. Auten Wideplank Flooring offers hand-scraped, hand-planed, foot-worn, saw kerf, hit or miss, and wire brushed. Two or more of these treatments can be pooled for an even more exclusive look.